Small businesses that are just starting out have to use their money as wisely as possible, getting the best value for the lowest price, and cutting off all extraneous costs. Marketing strategies have to be strategic and aim to make repetitive customers. Branding is essential; be known for something. Every single day the number of entrepreneurs is increasing at an exponential rate. Most start their business without knowing the best way to manage their sales in the market. Sales are considered to be the most important element in any business since it’s the key ingredient of your profits. Statistics suggest that most new entrepreneurs fail to succeed in their business due to a budget deficit and lack of proper planning. To build a business from scratch, you need to be wise in using your resources, especially if you are running with a tight budget. As a starter, you can’t afford unplanned spending since you need to use every penny constructively. If you look at the most successful businesses in Australia, then you'll notice they have a solid forecast and know what they want to achieve within a specific time frame. So, let’s discuss how to run a business efficiently with a tight budget: Use resources efficiently The first thing that you need to learn in your business is how to use your resources. As an entrepreneur, you need to put people in the right departments. They can never be productive unless you assign them to a sector they specialize in. Doing so will save you lots of time and money. And most importantly, managing a smaller team is much easier than handling a big team in your business so focus on building a small team at the initial stage. Cut your business cost To grow your business, you first need to cut down any extra costs you may be incurring. For instance, you might be buying low-quality equipment to save money, but in reality, you are paying more as you have to bear the additional cost of the service and replacement of low-quality equipment. So if you bought high-quality equipment at the initial stage, then you won’t have to pay this extra cost. As a startup businessperson, you can learn lots from a professional forex trader. They wait patiently and eradicate all the false signals in their trading platform and wait for a high-quality trade setup. Just like the professional trader you need to focus on efficient staff. Always make sure that their output is at least three times more than their pay at the end of the month. Convert the potential client into a repeat customer As a businessperson, you must have a vision and project objective. When you have a perfect project objective, this means you know your target audience (clients). Without studying your clients demand you can never increase your sales. And your main vision should be focused on turning the potential customers into your repeated customers for continuous sales. So what do you need for that? The answer is pretty simple. You need to assess your competitors in the market and make an offer to customers which others don’t. There are many small businesses which have turned into huge, profitable ones just by following this simple rule. Develop a strategic marketing plan A strategic marketing plan is very vital for the success of a small business. For instance, you need to know how much money you will spend in a certain promotional campaign and what will be the result regarding sales revenue. If you want to see yourself as a successful entrepreneur, then make sure that you have a strategic marketing plan which drives your sales at an exponential rate. You might have the best service to offer clients, but if you don't reach out to them and let them know about your service, they won't buy. Many brilliant business ideas remain unnoticed due to poor marketing. So make sure that you place a portion of your business budget to drive sales with the perfect marketing strategy. Highlight your brand identity Brand identity is extremely crucial for the long-term success of any business. For instance when you hear the brand name "Apple" you are well aware that they create one of the most elite smartphones in society. Similarly, you need to create your brand identity from the very beginning even though you are running on a tight budget. New entrepreneurs often ask how to create the brand identity in the market. You need to assess your market competitors and based on that give some special service to your customers which others don’t. The service must be high quality, and no one else should provide it in the market. It’s true that providing such a service with a tight budget business is extremely difficult, but if you follow all the other mentioned tips, then you can use money in the most efficient way. And this will allow you to use a portion of your hard-earned investment for developing your brand awareness in the market. 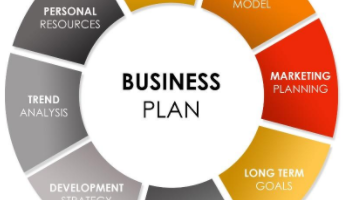 Stay on Budget Growing a small business from scratch requires strategic implementation of your business plan. You need to be extremely careful about your business. Always stay focused and utilize your budget in the best possible way. As a businessperson, you need to have a clear forecast regarding your achievement for a definite time interval. Make sure that you assess your business performance very frequently and make the necessary adjustments. I am now 6 months into my 3rd start up which feels like a good time to share my experience of financially bootstrapping my latest startup, which I believe has lead me to become a better, stronger entrepreneur, and in turn create a business with a real chance of long term success. This venture is my 3rd start up, having sold the 1st two, the hat trick is visible on the horizon, though still some way off! This is the first venture I have Bootstrapped and thus far we are on track to emerge from this phase early in the new year. As I write this article the Bootstrapping category in SavvySME is empty, so here’s to breathing life to this method of funding your startup amongst the SavvySME community. 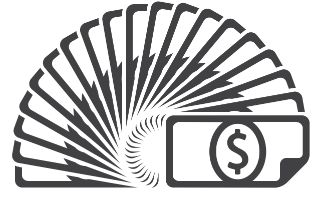 So what is bootstrapping? Bootstrapping a startup is fundamentally about developing the business with little or not external funding, spending as frugally as possible and using the business’s internal cash flow, revenue and possibly your own cash, to fund the early stages of getting the business to market. It’s common for the founders and early employees to not pay themselves any salary from the business, but instead be rewarded with equity in the business. The challenge that arises is that we all have bills to pay, even if it’s the bare necessities of food and accommodation, we still need an income to pay our way and survive. To overcome this challenge bootstrapped businesses have learnt to get creative by splitting their time between paid engagements for other companies and developing the startup. These paid engagement often leverage the core skills of the bootstrappers (consulting & coding) but are not limited to these, with many bootstrappers taking a range of casual work to pay the bills so they continue in the startup. At last count I have completed 8 short term consultancy roles over the last 6 months, each facilitating the next phase of developing the business. Who is bootstrapping relevant to? Not everyone! This is not a conventional approach to starting and building a business and a history of many failed bootstrapped startups tells us that it does not work for everyone. To help you understand if this is an approach that fits your business here’s what we have learnt, most specifically from the last 6 months, of developing our latest bootstrapped business. The common threads between bootstrapped businesses Businesses that are relevant to the bootstrapping approach share some common threads, these include: Relatively low upfront capital requirements (I started this latest venture with less than $10k of capital) Receivable payment terms tend to be short, whilst payable terms tend to be at the longer end of the range Revenue tends to be recurring, so you are not constantly spending time or paying resource to chase new sales to keep the lights on A significant number of new sales are generated via your current users referring/recommending it to friends and colleagues The common traits of Bootstrapped businesses You work from your bedroom, garage, shed, kitchen table or shared office space Your time is split between income earning (bill paying) roles and building your startup, only committing full time to the startup when it can fund your bills. Outsource ahead of hiring, we are regular users of Odesk through which we have sourced contractors in the Philippines and Indonesia Follow the Minimum Viable Product (MVP) development approach to get your product to market as quickly as possible so you can garner customer feedback prior to evolving the product any further. We had V1 of our product in market within 6 weeks, the feedback we received from this prototype has fundamentally determined our final product build. Use sweat equity as a currency to acquire the services you need which you cannot afford to purchase. This worked really well for David Choe who famously accepted payment of Facebook shares for creating graffiti art at Facebook 1st offices, these shares netted him $200m when Facebook IPO’d Hire based not only on 1st class capability but on cultural fit and commitment Advantages of bootstrapping your business You retain the significant majority of the equity in the business which will pay dividends should you sell in the future As the majority shareholder you control the business and do not need to answer to external shareholders Businesses with no external funding are often described as having “Clean Capital Structures” which is a feature future investors will find appealing once you have the business beyond the startup phase Disadvantages to bootstrapping your business The “Skin in the game” approach where the founder is responsible for all the costs is not without its risks. In the passed 6 months I have used my personal credit card to settle accounts and shore up short term cash requirements, so be prepared to back yourself with your hard earned cash Cash flow is king…..however good the idea and the talent is within the business the key business drivers need to be managed and prioritized, this is often not a core skill of an entrepreneur and one that is difficult to outsource in the early stage Business growth maybe frustratingly slow due to the lack of funds, perseverance is a skill I have learnt over the last 6 months I hope this article provides useful insight into the Bootstrapping method of funding your startup. Subject to the feedback the article receives my intention is to publish a follow up article outlining some of the tools we have used to keep our cost in check and bootstrap through to launch.